Brand new!! 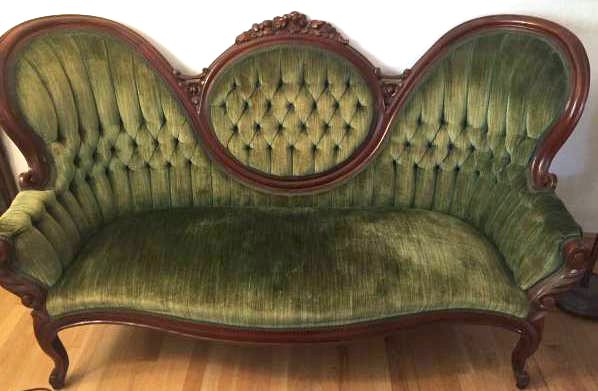 Amazing six foot long sage green velvet sofa from the 1920's with delicate carved arch back. Pairs perfectly with our sage green tufted ottoman!